Through the end of this month, you can get a Dozen Krispy Kreme Glazed Doughnuts for FREE when you buy any dozen doughnuts! 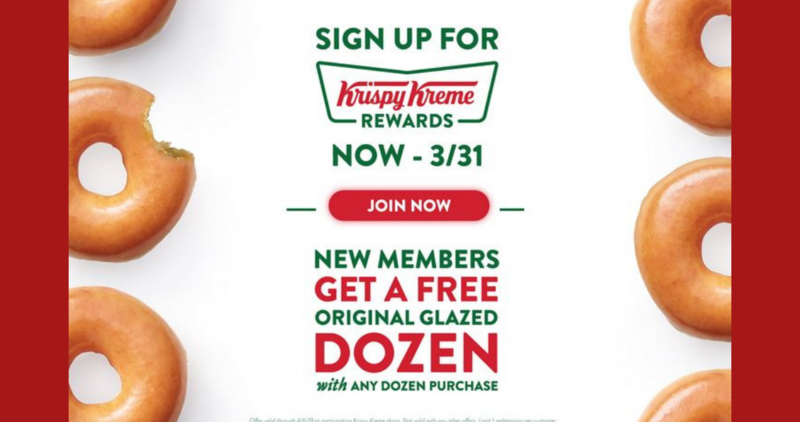 You’ll need to be a new member of Krispy Kreme Rewards, download the app to become a member. There is a limit of one redemption per offer. When you join Krispy Kreme Rewards you also get a Free doughnut just for signing up and you’ll also get a Free doughnut and drink on your birthday!